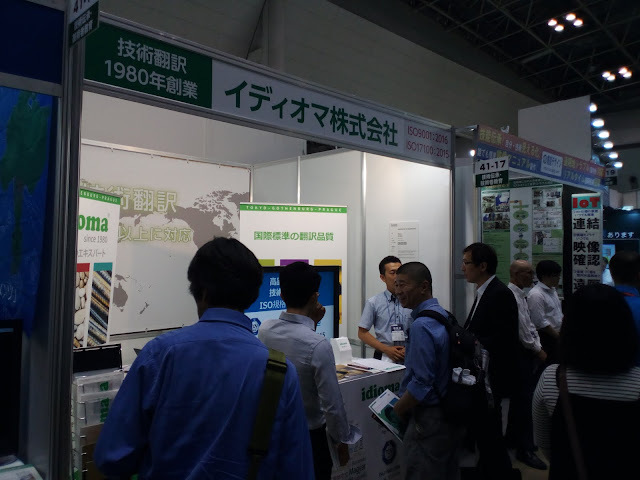 Staff from the idioma Tokyo office attended the 28th Design Engineering & Manufacturing Solutions Expo at the Tokyo Big Sight venue as one of the exhibitors for 3 days from June 21 through June 23rd. 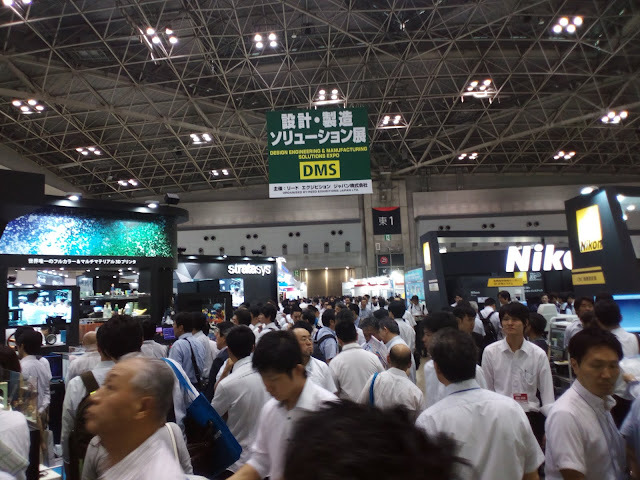 In the three days, the total number of visitors reached 88,000 where 2,454 exhibitors participated concurrently with other exhibitions such as the Japan Manufacturing World. The weather was wonderful for the three days and there was a very inspirational and productive atmosphere at the site. Exhibitors from different fields conducted hands-on demonstrations of products, held live presentations on the spot, and the venue was packed with visitors from all over Japan. In this midst of this manufacturer-oriented atmosphere, idioma was right there to offer high quality technical translation services and its 37 years of expertise on multilingual technical documentation. 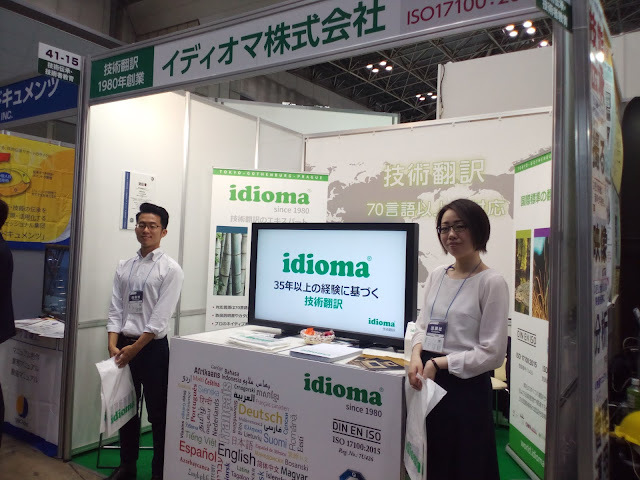 DMS 2017 Tokyo – Technical translation booth of idioma Co., Ltd. Many interested visitors stopped by at the idioma booth with an interest in effective overseas development. Quite a few admitted they had experienced difficulties in translation and localization. idioma representatives were happy to help potential buyers with our tailor-made solutions. DMS 2017 Tokyo – Technical translation services by idioma Co., Ltd.
All in all, idioma’s presence at DMS Tokyo 2017 was a big success, which motivated us to participate again next year, hopefully with new services and technologies to come. For anyone who is interested in the Japanese market and its need for multilingual documentation, do not hesitate to contact us at sales@idioma.com. Excellent site, There are numerous understudies who want to be called as specialist however they can't take medicinal training so such understudies can be called as doctorate after postgraduate projects. Check this go to this site and gain more info helpful. Wonderful info you shared about the tokyo. Getting ready and vision empower individual to region his conceivable to best utilize. The good site is normally shown to as the system of finding and getting vision at school, in a kind of true planning. Nice site, The keeping money structure tries to update this field and it is so significant for the comprehensive network. This click here of the data is so emerge and you pass on the huge data. This expo was really helpful for the engineer students and and professionals also. Idioma is very effective in social development so you could try here and get what you actually looking for. Really helpful for the students, The man can hit all of his goals and desires simply through guidance and can substantiate himself supportive for his overall population by getting educated in a real sense. Visit professionaltypist.net/7-annoying-typing-habits-that-drive-everyone-crazy/ site now and pick the best package for your structure.